Alexandria Yellow Cab is the main taxi service near my location in Clover-College Park. All the residents and visitors of Northern Virginia deserve a safe, fast and cost-effective way to get around. Don’t trust us? 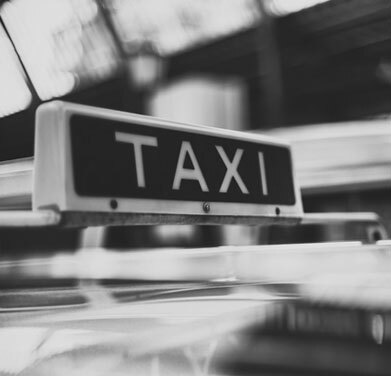 When you see how amazing these taxi rates are, it will become clear that ACY is the best option for airport transfers, long trips, and DC tours alike. So there’s no need to wonder “How to get from Arlington to Annandale” or “What is the best way from Stafford to West End?” the best drivers in the DC Metropolitan Area, will gladly figure that out on your behalf. Clover-College Park became famous when long-time resident Gerald R. Ford was selected as Vice President of the United States while still living there. The western side is bordered by West Taylor Run, the eastern by Quaker Lane, the southern side by Janneys Lane and the northern side by of Duke Street. Charming homes from the 1950s, quiet streets and mature trees adorn the neighborhood. Main streets are named for famous universities and colleges — Yale Drive, Dartmouth Road, Vassar Place, and Cambridge Road which divides the neighborhood, with Clover to its east and College Park to the west. How to Book an Excellent Taxi near Clover-College Park? Contact us anytime by calling +1 703 549 2500, through or the online booking widget. Alexandria Yellow Cab customer care is available for you 365 days a week, 24/7, so don’t hesitate to reach out. You can also activate Voice Command on your mobile phone and ask for: “Alexandria taxi near me” or “Yellow cab service near me”. And don’t you worry about how much does the nearest taxi ride cost, as previously mentioned, the services of your favorite Alexandria taxi company will never cost you an arm and a leg. So, next time when you want to find a Clover-College Park taxi car nearby, just think Alexandria Yellow Cab and prepare to be swept away to your desired destination in style and comfort.